I just learned about this console the other day and thought I'd share information about it. I had never heard of this system before. Has anyone seen this system before? The RCA Studio II is a home video game console made by RCA that debuted in January 1977 with a reported retail price of $149.95 (about $525 in today's dollars), which was about $20 less than its competitors at the time. The graphics of Studio II games were black and white and resembled those of earlier Pong consoles and their clones. The Studio II also did not have joysticks or similar game controllers but instead used two ten-button keypads that were built into the console itself. The console was capable of making simple beep sounds with slight variations in tone and length. 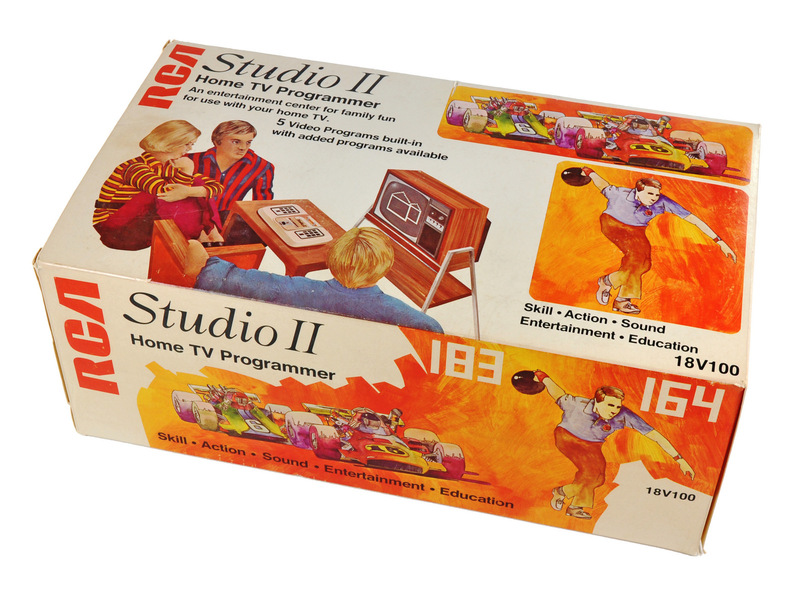 The Studio II included five built-in games. The console's switchbox relayed both the modulated RF signal of the console's video to the television set while powering the console with DC power. This type of switchbox would not be seen again until the Atari 5200. The Studio II was not a successful product; the previously released Fairchild Channel F made it obsolete at launch and it suffered a final decisive blow when the superior (to both) Atari 2600 console was released only 10 months later. After poor Christmas sales in 1977, RCA ceased production of the Studio II and offloaded excess inventory to Radio Shack in a fire sale.